Barham Middleton, B Social 1899. Lance-Corporal, 22nd Bn, Royal Fusiliers. Killed in action, Battle of Arras. After school, he studied at the Agricultural Department at Reading University, then worked as a dairy farmer in Surrey. He signed up and served in the ranks of the Universities and Public Schools Battalion, Royal Fusiliers in 1914. 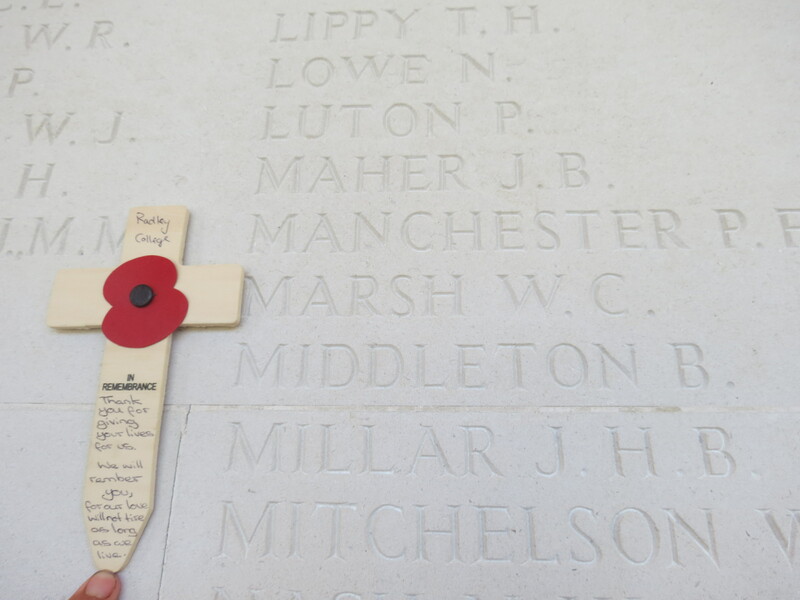 He was killed in the Battle of Arras but has no grave, so is commemorated on the Arras Memorial. Posted in Commemorating the Fallen of WW1 and tagged B Social, Battle of Arras, farmer/rancher, Flanders & France (Western Front), killed in action, Lance-Corporal, Marching in Memory for Combat Stress July 2015 on 29 April, 2017 by archives602.